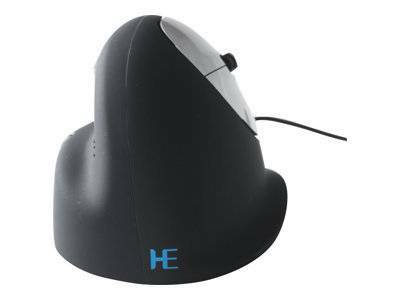 The HE Mouse is designed and produced by Human Ergonomics in close cooperation with the ergonomic experts of R-Go Tools. 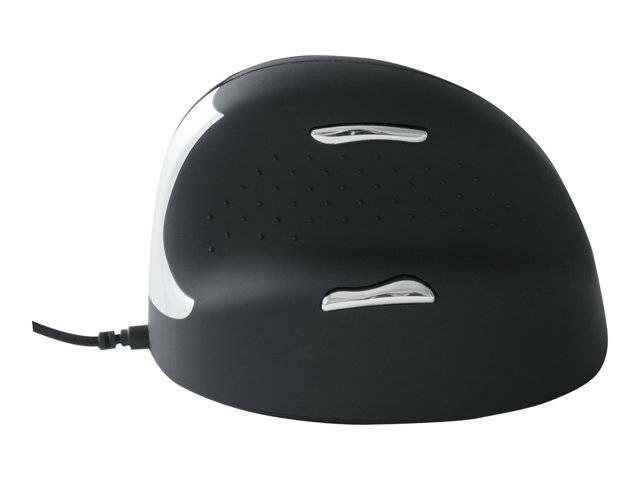 This mouse is a vertical grip mouse and is suitable for mouse use on daily basis. 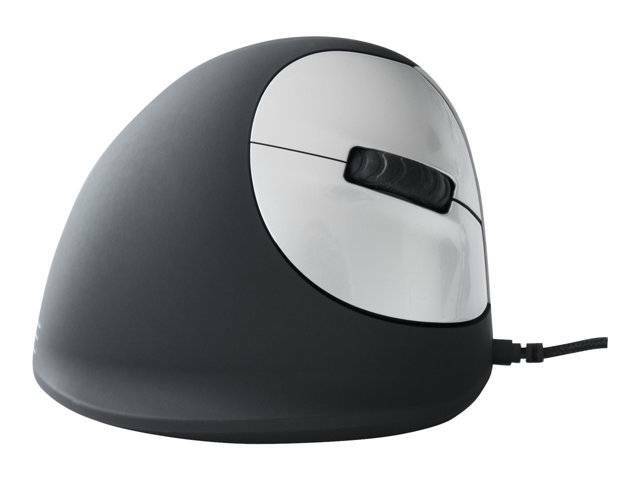 The HE Mouse is unique because it enabling the hand and wrist to be in a neutral and relaxed relaxed position in combination with a perfect grip. The design provides optimal support to the hand. The vertical position also forces you to move with your arm instead of your hand. This prevents RSI in your wrist. The design and the material provide a special grip which make the mouse pleasant to use.The HE Mouse has 5 buttons including a scroll wheel. The left and right mouse buttons are operated by the forefinger and middle finger. The scroll wheel can be used for navigation and can be operated by the forefinger or middle finger. The thumb controls the forward and backward buttons which are on the side of the inch gutter. 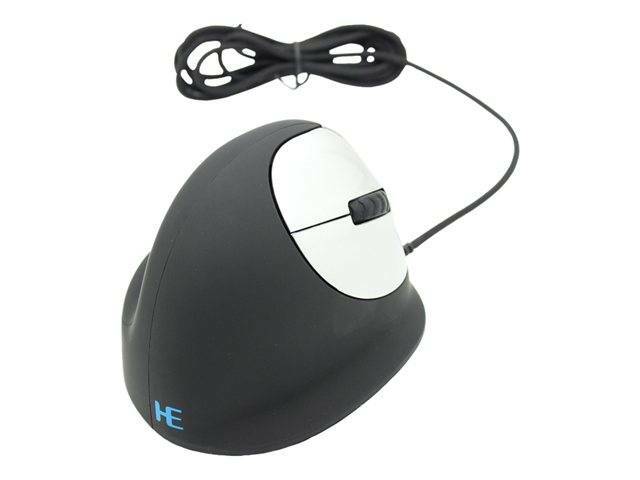 The HE Mouse wired version has an accuracy of 3400 DPI and is Plug & Play connected. 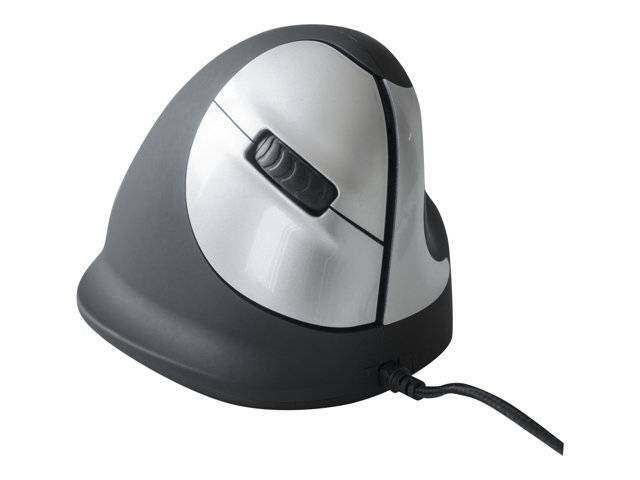 The mouse can be used on all regular office desks.